Listen to the What Hi-Fi? 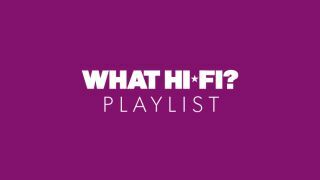 playlist | What Hi-Fi? The May 2019 issue is out now! Every time a new issue of What Hi-Fi? is published – that's 13 times a year – we update our playlist with a new selection of the music we've been listening to (and testing with) in the past month. And guess what, it's now that time. The May issue of What Hi-Fi? is now on sale, and it's a vinyl special! We give you our pick of the best turntables currently on the market – ranging from £150 to £20k – as well as offering up the phono stage the limelight it deserves. As if that wasn’t enough, we rate the best turntables of our lifetime – the 15 best decks we’ve seen since What Hi-Fi? was first published 43 years ago – and in our Insider section we speak to Geoff Pesche, Mastering Engineer at London's famous Abbey Road Studios about cutting some of the best selling tracks of all time to vinyl, including New Order’s Blue Monday. To listen to the playlist via the streaming service of your choice, just click on the relevant link below to load up on new music. Want even more recommendations, plus music and movie news and reviews? Give the What Hi-Fi? playlist twitter account a follow and check out all our 4K UHD Blu-ray reviews too.